If you have stories or pictures you would like to share about the non-conformists in this area, please get in touch with the chapels under the Find Out More tab, or with the author of Valley of a Hundred Chapels, Amy Binns, on abinns@uclan.ac.uk. Amy's academic work can also be seen about Ask.fm, trolling, and comparisons of social network sites. 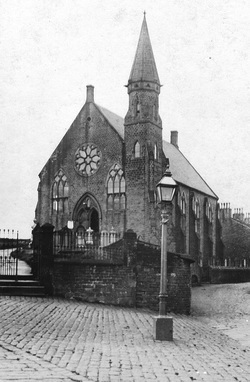 Picture shows Sowerby Congregations Chapel, Sowerby, now demolished.